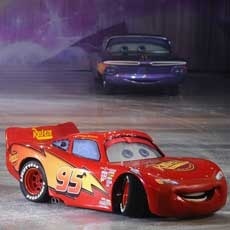 See Lightning McQueen, Mater and the Disney'¢Pixar's Cars race across the ice! Dive into undersea fun with Ariel in The Little Mermaid's kingdom. Experience the adventures of Buzz, Woody, and the Toy Story gang as they race for home. Join sisters Anna and Elsa, Olaf and Kristoff from Disney's Frozen as they learn true love comes from within. From wheels to waves, icy wonderlands to infinity and beyond, your family's beloved Disney moments will come to life.